An irrigation system should work perfectly for many seasons without any trouble. However, every sprinkler system eventually malfunctions. Luckily changing a single part usually returns the system to full working condition. With a little troublestooting advice, a typical homeowner often repairs their own sprinkler system without calling a professional contractor. Many homes use city water as the water source, while others take advantage of a well or lake. A home using a lake or well as its water source needs a high-voltage pump. A timer wires directly to the pump motor. 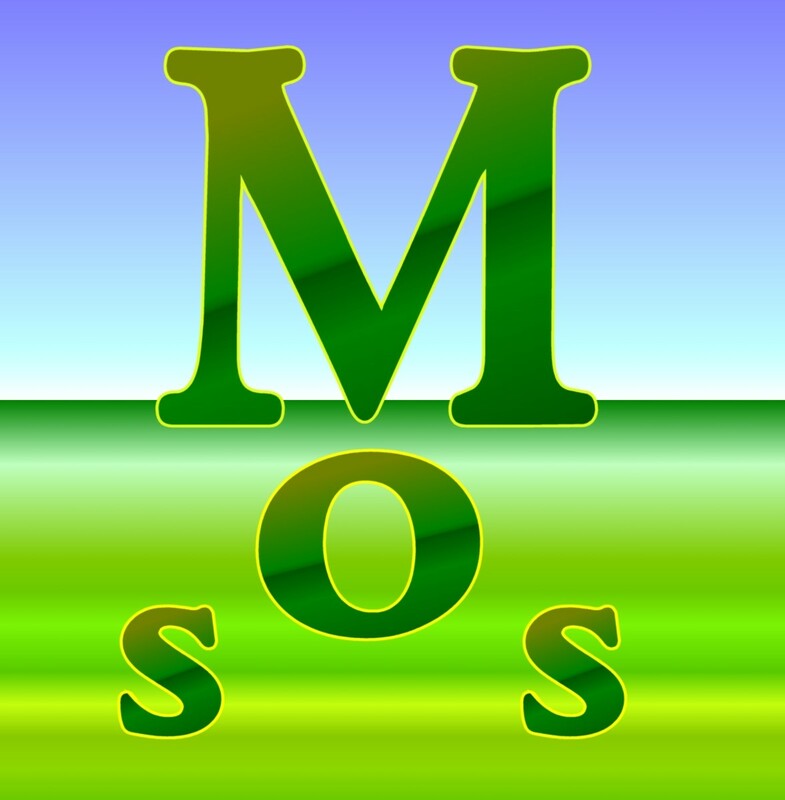 When the timer activates, the pump motor draws water from the source and forces it into the irrigation pipes. 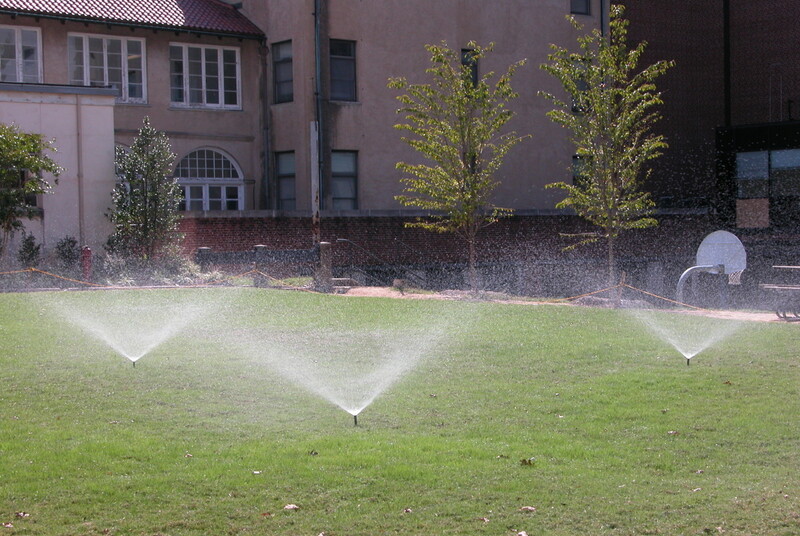 A sprinkler system connected to city water uses a low-voltage timer. A low-voltage timer's transformer taps into the home's 120-volt circuit. The transformer converts high voltage into the low voltage power source the system requires. When the timer activates a zone, it sends the low voltage power source to the appropriate valve solenoid. Once activated the solenoid opens the valve, letting the water pass. Once it reaches the sprinkler heads, it is distributed across the landscaping. Eventually, every sprinkler system suffers an underground broken pipe. 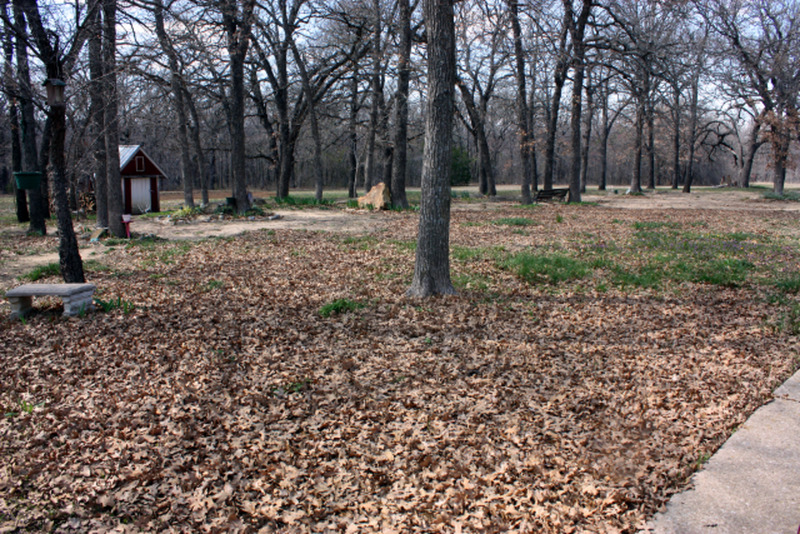 Isolated areas of excessively moist soil, visible geysers and a water meter that runs with the sprinkler system off indicate that a sprinkler pipe has broken or cracked. In the worst cases, this problem can waste thousands of gallons of water each month. Finding the break often becomes frustrating. Common culprits include tree roots and careless shovel work. 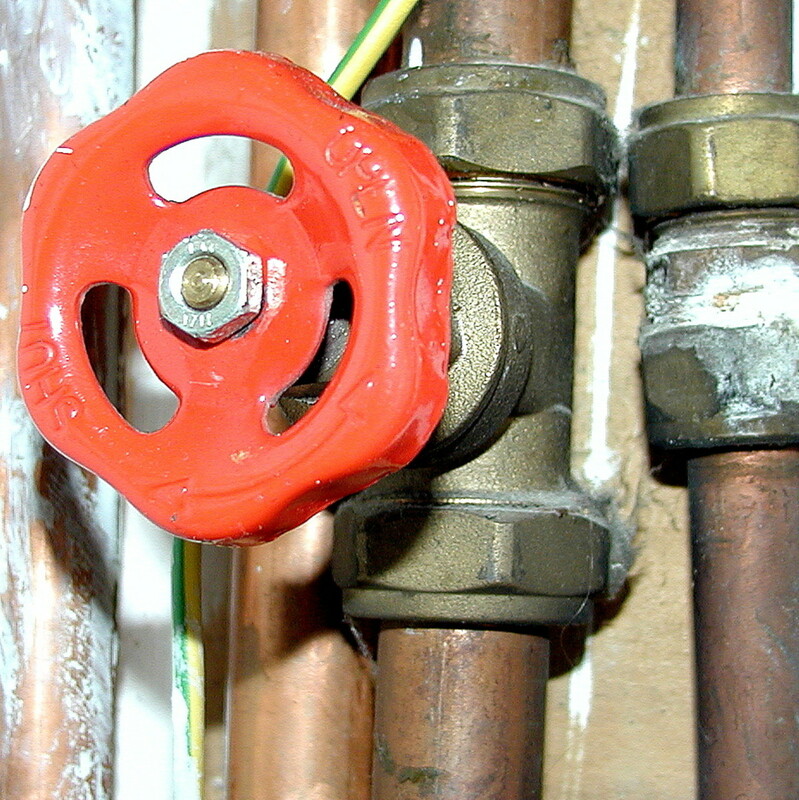 If the break occurs before the valve, the broken pipe needs immediate attention. A break in this location leaks constantly and left unattended the damaged pipe will rupture. 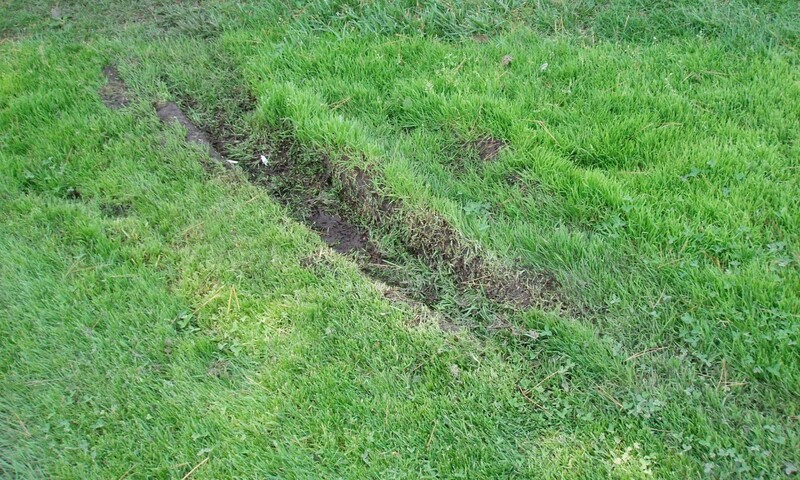 If a small area of the lawn turns exceptionally green or the soil seems spongy, check for a sprinkler pipe with a small leak. Once the pipe ruptures the constant water pressure bubbles up to the surface, clearly identifying the broken pipe's location. Leaks after a valve will only appear when the timer activates the zone with the damaged pipe, resulting in a hard to find the problem area. To find this type of leak, close or cap each sprinkler head and turn on the respective zone until the soil becomes wet. Carefully probe the wet area with a shovel to find the pipe. 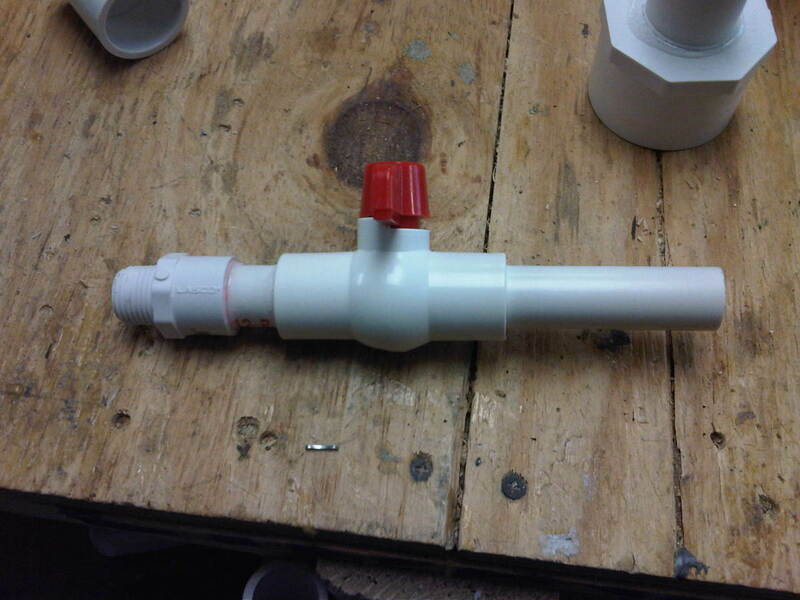 To close an adjustable fan-spray sprinkler head, pull up the sprinkler head's stem. Twist the top of the nozzle counterclockwise with one hand while holding the bottom of the nozzle still with your other hand. To close a rotor or gear driven sprinkler head, place the appropriate tool into the grove next to the arrow. Turn the adjustment screw counterclockwise. If the sprinkler head will not turn off, remove the soil surrounding the sprinkler head. Unscrew the sprinkler head from its male adapter. Place the correct sized threaded cap, either 1/2 or 3/4 inch NPT, on the exposed male adapter and hand tighten the cap. The materials needed for repairing a broken or cracked sprinkler pipe include a can of wet-or-dry PVC cement, a small section of the correct size PVC pipe and a few fittings. Turn off the sprinkler system's water source. Remove at least 6 inches of soil underneath the broken pipe. Cut out the damaged section of pipe and let the residual water drain into the hole under the break. Clean the debris from the ends of the pipe. Replace the missing section of pipe, using the appropriate fittings and pipe. To avoid digging up large lengths of pipe, finish the repair with an expandable coupling or flexible tubing. 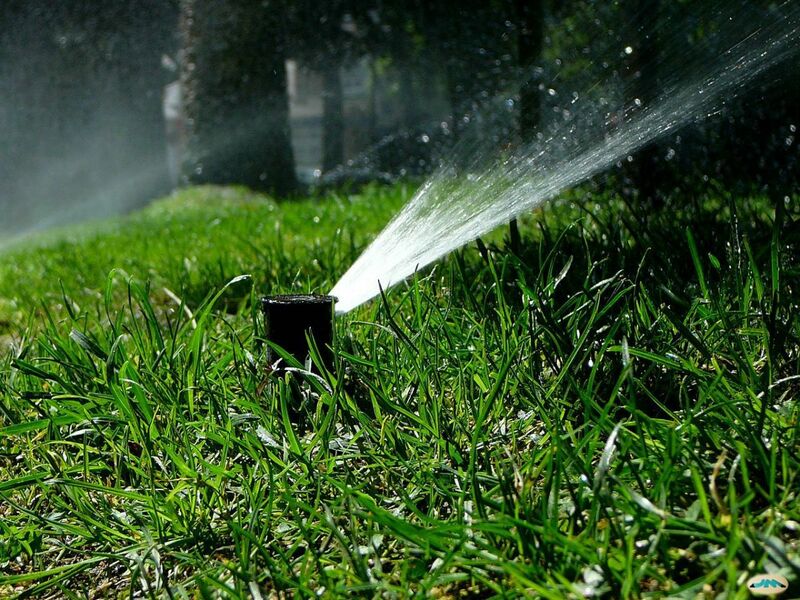 Broken and incorrectly adjusted sprinkler heads do not distribute water correctly, leaving large areas of a lawn dry. Returning a sprinkler head to its proper adjustment setting often fixes the problem. Due to a new sprinkler head's relatively low cost and the variations between manufacturers, homeowners often find a complete replacement of a broken sprinkler head the easiest and most cost effective solution. All fan spray sprinkler heads have a distance adjustment screw, the screw located on the top of the nozzle. Many nozzles throw water between 10 and 15 feet, assuming 25 PSI of water pressure at the nozzle. Turning the distance screw clockwise increases the water throw. Twisting the top of an adjustable nozzle changes the arc. Rotor sprinkler heads have distance and arc adjustments. The adjustment procedure depends on the manufacturer. Some manufacturers supply an adjustment key, while others use a small slotted screwdriver. Lawnmowers cause extreme damage to a sprinkler head. Cement landscaping donuts help prevent the lawnmower blade from hitting the sprinkler head. If the lawnmower broke the sprinkler head's body, replace the entire sprinkler head with an exact replacement. If the lawnmower blade damaged the top of the sprinkler head, either replace the entire sprinkler head or try to identify the brand of the sprinkler head and replace just the broken part from a new head. Replacing a broken cap and stem, sometimes called the shaft, eliminates the need to dig up the body. Automobiles often drive over sprinkler heads positioned next to a driveway, usually breaking the sprinkler head or pipe below. Normally the best solution involves digging up the sprinkler pipe and replacing the short section of hard PVC directly below the sprinkler head with a flexible PVC pipe, then installing an exact replacement sprinkler head. When a sprinkler head's shaft extends but water does not spray out of the nozzle, debris has clogged the nozzle or its screen. Turn the system off and remove the nozzle and clean all debris from the nozzle's screen. To remove the fan-spray sprinkler head nozzle, pull the stem up out of the body with one hand and grip the nozzle with the other. Hold the shaft still and turn the nozzle counterclockwise. Many rotor sprinkler head manufacturers use a nozzle that is locked in place with a set screw. To access the nozzle and set screw, unscrew and pull the rotor's cap and stem from its body. A sprinkler system with a zone that will not turn on or off has either a malfunctioning timer, zone valve or a short in the low-voltage wire. An experienced technician uses certain visual clues to reduce the possibilities while diagnosing the system. For instance, if water seeps past a zone valve after disconnecting power to the timer, the technician knows the problem occurs in the zone valve. When the technician suspects an electrical fault, he uses a multimeter to read voltage and continuity across each individual system part, thus isolating the faulty device. If the timer does not work at all, remove the timer's faceplate and look for a burnt fuse. Not all systems include a fuse. Replace a burnt fuse with a compatible model; the amperage rating must match. Turn the system on and cycle through each zone. If the fuse blows again, start the troubleshooting process at the timer. Check the timer's transformer for proper input and discharge voltage with a voltmeter. Most sprinkler timers use a transformer that plugs directly into a standard 120-volt receptacle, however, some models are wired directly into the home's electrical circuit. If the transformer receives the proper voltage but its output voltage does not match its stated output voltage, replace the transformer. If the transformer works properly, troubleshoot the timer. Usually when multiple zones will not turn on the timer has malfunctioned. Activate a malfunctioning zone and check the timer's output voltage between the respective zone and common terminals. Turn the multimeter to its lowest AC-voltage setting. Place one multimeter probe on the malfunctioning zone terminal and the other multimeter probe on the common terminal. Compare the multimeter readout with the timer transformer's stated output voltage. When activated, the timer should allow voltage to pass on to the valve's solenoid. If the multimeter reads zero, replace the timer. If the multimeter shows voltage, turn off the timer and troubleshoot the valve's solenoid. When voltage passes through a solenoid's coil a magnetic field moves a metal piston. The piston forces the valve's diaphragm open. Remove the wires connected to the valve's solenoid. Turn a multimeter to its resistance setting. Place a probe on each solenoid lead. If the solenoid does not have continuity, replace the solenoid. If the solenoid has continuity, check for proper voltage at the solenoid with the multimeter set to its voltage setting. Keep the ends of the low-voltage wires apart and activate the zone with the timer. If the multimeter reads voltage, replace the zone valve's diaphragm. If the multimeter reads zero, replace the low-voltage wire. If water seeps from the sprinkler heads in a particular zone after the timer turns off the zone, check the zone valve's diaphragm for debris or damage. 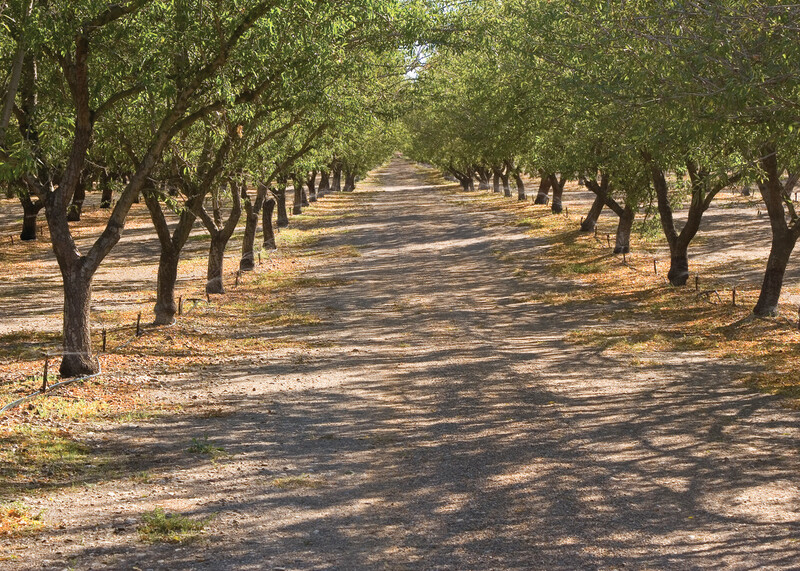 Turn off the irrigation system's water supply. Remove the valve's top. The removal procedure depends on the valve type and manufacturer. Lift the diaphragm and its spring from the valve body. Clean any debris from the valve body and inspect the diaphragm and spring for damage. Many home improvement stores sell replacement diaphragms for the various valve manufacturers. This irrigation pump's impeller has broken off the shaft. Because of the inherent dangers involved with high voltage, only individuals trained and experienced with high-voltage equipment should work on or repair the motor and timer. However, a basic understanding of how to troubleshoot this type of system works never hurts. A sprinkler system drawing water directly from a pond or well usually uses a 240-volt pump motor, although, a few systems operate on a 120-volt circuit. A dual voltage pump motor uses a switch, located inside its electrical compartment, that allows operation with either voltage. 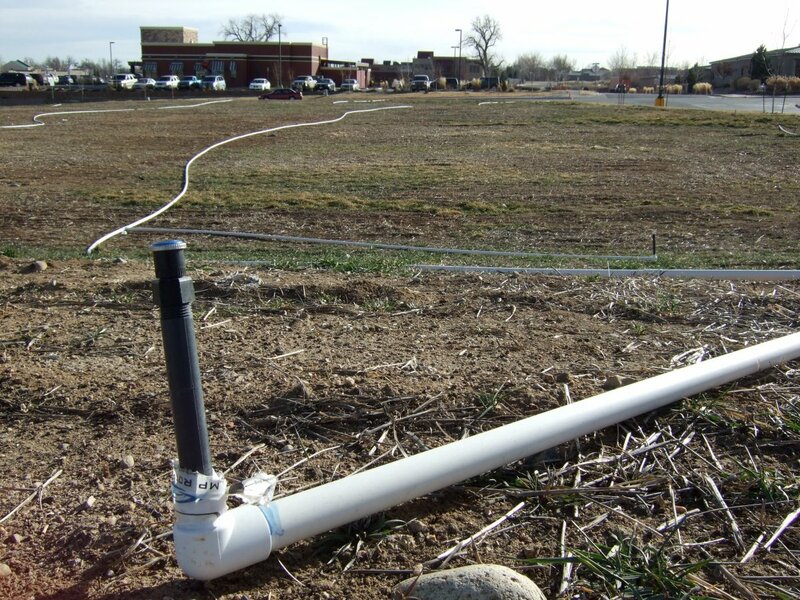 Sprinkler systems that take water from a pond usually use a jet or transfer pump. Well pumps come in many configurations, including shallow well, deep well and submersible type pumps. Some systems use a pump start relay, while other pump motors are wired directly to a high-voltage timer. Many submersible pumps need a start capacitor as well as a run capacitor. A capacitor holds its voltage even after turning off the circuit breaker, making it a dangerous component until the technician releases its charge with a screwdriver. Some of the possible reasons that a pump motor will not turn on include a malfunctioning timer, incorrect voltage, faulty capacitor or a dead short. A dead short trips the pump motor's circuit breaker immediately. 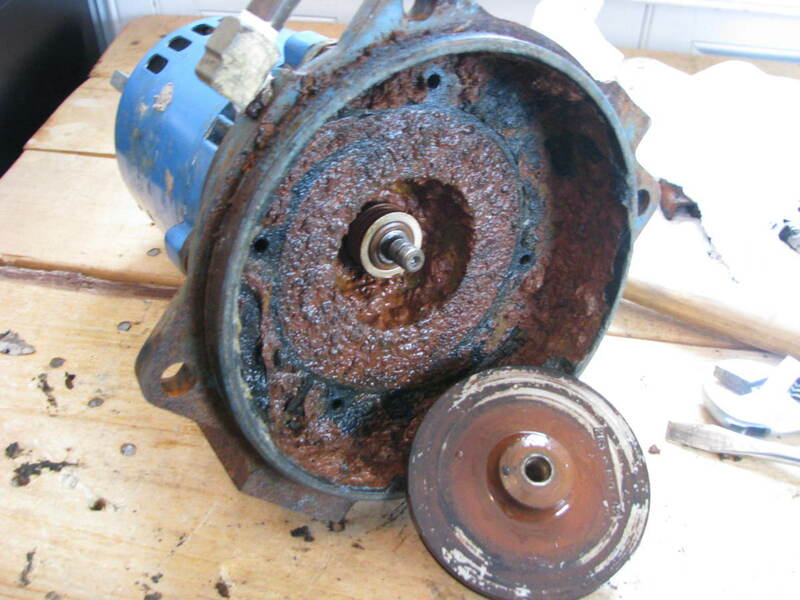 The dead short often occurs either in the motor's winding or along a stretch of a wire with worn insulation. The repair depends on the location of the short. A service technician always compares the actual voltage at the motor with the motor's stated operating voltage. If the irrigation system uses a dual-voltage pump motor, the technician will verify the motor's voltage switch setting. Good signs a careless installer left the switch in the 240-volt position on a 120-volt system include a pump motor that struggles to reach speed and one whose housing gets hot quickly. If the measured voltage and the stated voltage do not match, the technician will trace the electric supply back to the timer and then to the circuit breaker. If the measured voltage and the stated voltage match, the technician should test the capacitor and look for debris lodged between the impeller and the motor housing before changing the motor. 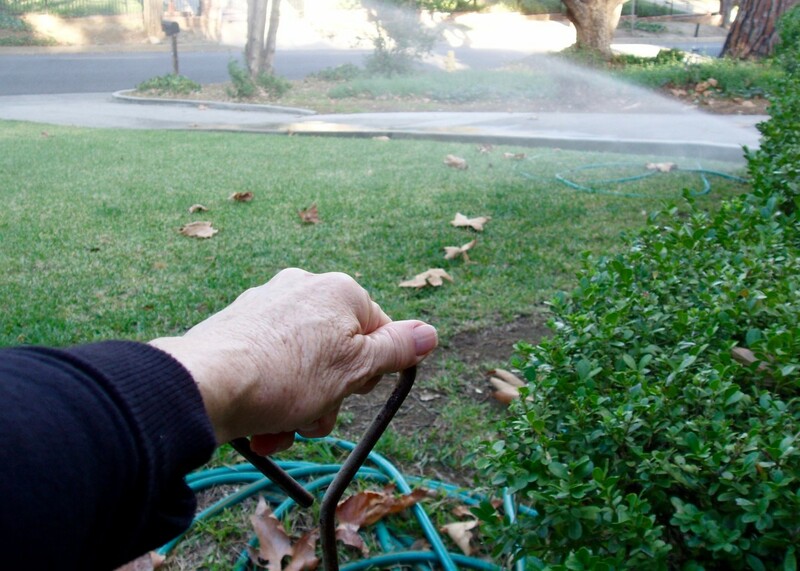 How many months per year do you run your sprinkler system? What causes sprinkler heads to spew air and water out when first coming on? Water enters the pipes when the valve opens. This creates pressure that forces everything downstream, including any air, out the heads. This will continue until all the air leaves the pipes and the water pressure equalizes. After the sprinkler has finished its 6 stations, station 4 comes back on. What could cause this problem? When station 4 comes on again, disconnect one of the valve wires at the solenoid. If the valve turns off, suspect the timer. If the zone continues to run then inspect the valve. What causes two or more zones to run at the same time? Only one terminal should show power. Troubleshoot the timer while the zones are running. Should the water drain out of the sprinkler lines when it is shut off? No, the pipes should not leak. However, if the pipes run downhill, the uphill portion will drain down to the lowest part. What would cause my control box in the ground to fill with water?